That’s right folks! Come and join a Full-Band High-five! extravaganza! There will be food, beer and wine and, of course, Music! We’ve pulled together some of our favorite friends to help make this an afternoon to remember. Red Yarn will open the show and then he will join the stage with us along with fellow kindie local sensation Matt “Tallulah’s Daddy” Lynch (on bass, cajon and trumpet!). Not to mention the drums, guitars, cello, banjos, and keyboards that will round out the sound! 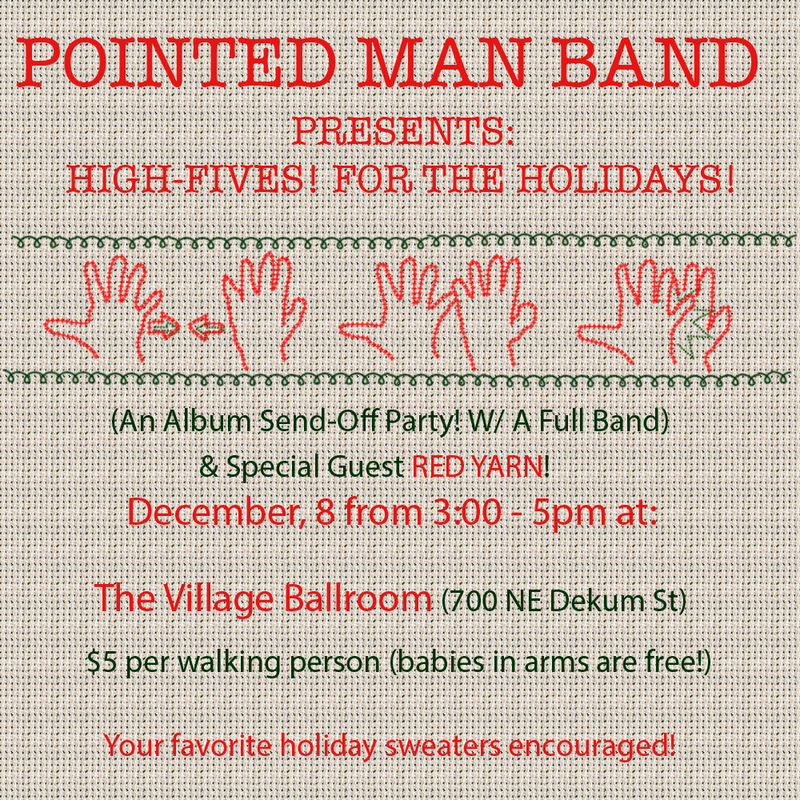 So put on your favorite holiday sweater and come prepared to dance and be merry as we greet this holiday season with a High-Five! Tickets available at the door or purchase tickets in advance here: High-Five!